Spam. Nobody likes it, but everybody gets it. In the first quarter of 2015 spam comprised 59.2% of email traffic! Of course, it doesn’t just annoy the end user, it also interrupts business productivity. Worse, spam is a security risk; bringing with it any number of phishing or malware attacks. Because spam is plentiful and comes in many varieties designed to confuse and manipulate the recipient, it is important to first implement a powerful anti-spam system. However, remember that utilizing anti-spam software is only the minimum of what you can do to protect yourself. You should also educate yourself on how to recognize and handle suspicious emails. Paying attention to the following 5 tips to identify dangerous spam emails, before you open, click, download, or share data will go a long way toward protecting your data. Phishing scams usually appear to come from legitimate businesses, like your bank, and contain URLs that link to malicious web pages asking for your private information. Legitimate businesses will, most likely, never ask for personal information such as passwords or credit card numbers via email. Giving out your information can lead to drained bank accounts or even identity theft. The best policy is to refrain from downloading files or clicking through links in an strange email, unless you trust the source. Malware, viruses, and other types of malicious material can be easily downloaded to your server or computer through attachments or malicious links, such as the Dropbox link in Example #3. In addition, dangerous files can come in any form, even with familiar extensions like .docx, and are often zipped to conceal their true file type. Seem Too Good To Be True? It is. Another sign of a dangerous spam email is when the content seems too good to be true - often in the form of a promise for large sums of money. Such emails are actually phishing schemes trying to collect bank account information from the recipient. These scams come in many forms, including the story about the government owing you money in Example #4. You might also see promises of money from foreign royalty, the announcement of a fake lottery win, and even get rich quick schemes. The goal of an email that seems too good to be true is to encourage the recipient to click a link and provide their bank account information - a classic phishing scam. Spam can be dangerous and can leave your computer or server vulnerable to future attacks. Following the above tips can help you identify the most common types of spam. Also, don’t forget that even replying to spam or attempting to “unsubscribe” can come with its own set of dangers! Avoid spam all together and make sure you are fully protected with a powerful anti-spam software, like MailSecure. Learn more about how MailSecure helps keep your email free of spam and about potential spam attacks by reaching out to our always available Heroic Support®. How Do Solid State Drives Work? The healthcare sector is rapidly changing. Make sure you are aware of the responsibilities you and your hosting provider have in keeping your business and ePHI data HIPAA and HITECH compliant. We’ve assembled some of the most common questions that Liquid Web customers have asked us about our HIPAA hosting solutions, along with the answers, in this handy FAQ. Download it now. A data breach happens when an unauthorized party gains access to sensitive or private data. Some examples of sensitive data include passwords, financial records, database info, or HIPAA records. What Are The Common Use Cases for VMware Private Cloud? 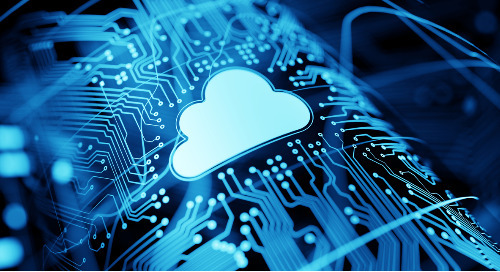 Organizations of all types and sizes use VMware virtualization, and quality managed services make VMware private cloud a cost-effective upgrade for many small and medium-sized businesses. Any company that requires HIPAA compliance also needs to maintain HITECH compliance, which is best achieved by having its servers hosted in an environment certified for HITECH by a third-party audit. Do I Need to Future-Proof My Growing Business With Managed Hosting? Two-thirds of SMB execs consider tech a primary factor in pursuing business objectives, yet 40% admit they have invested less than they should in IT. Future-proof your business with Managed Hosting. 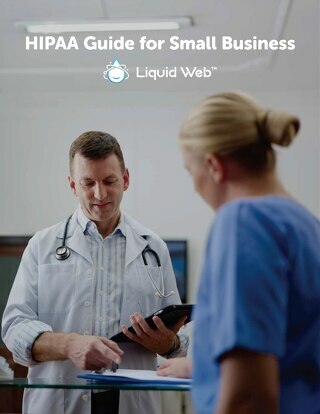 Liquid Web put together this HIPAA guide for small business to help navigate the relevant laws that impact your healthcare-related business and common HIPAA terminology to understand. CloudFlare CDN provides additional performance and security benefits to your globally-accessed website, store or application. Try it free with Liquid Web. Good business relies on good planning, and there may be nothing more important than planning for a backup and disaster recovery scenario for your business. Here is your guide for building a plan. GDPR, or the General Data Protection Regulation went live in May 2018. Here is what you need to know about becoming GDPR compliant. Liquid Web’s GDPR Compliance: Your Questions Answered! What is HIPAA Compliant Hosting and Why Does It Matter? Should You Consider HIPAA Compliance? 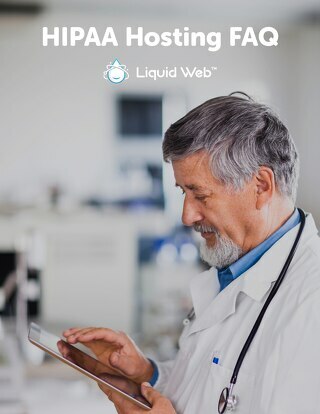 While there is much more to HIPAA than the data center where your data is stored, Liquid Web can be an important part of your overall compliance with HIPAA standards.